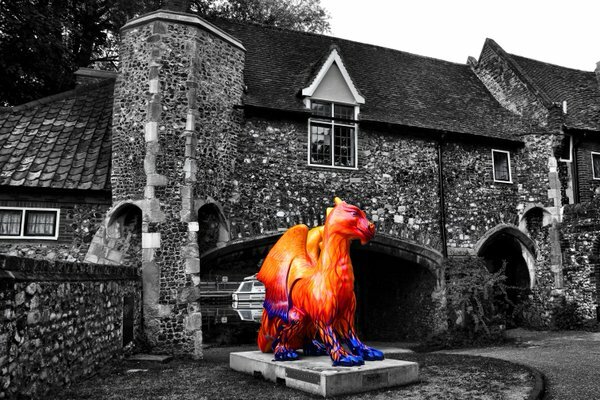 Raptors Fire was commissioned by Cooks Blinds and Shutters as one of 88 dragon sculptures who invaded the streets of Norwich between June and September 2015. 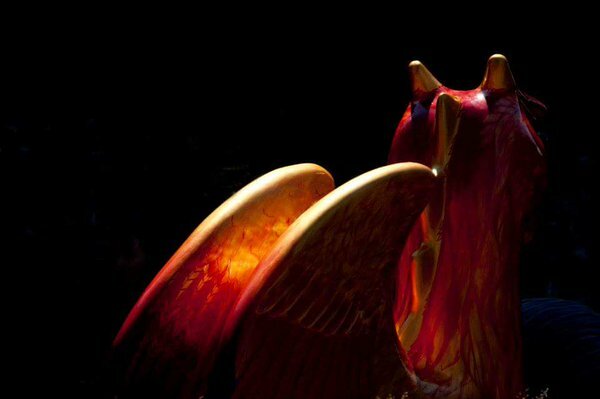 Raptors Fire is a feathered bird like dragon created to explore what a dragon could look like if it evolved in a similar way to feathered dinosaurs. My design takes inspiration from raptors; the feathered dinosaurs and modern day birds of prey, exploring the evolutionary link between the two. I used fire to shape my design by combining the colours, shapes and movement of embers, igniting fire and raging infernos to create Raptors Fires feathers. 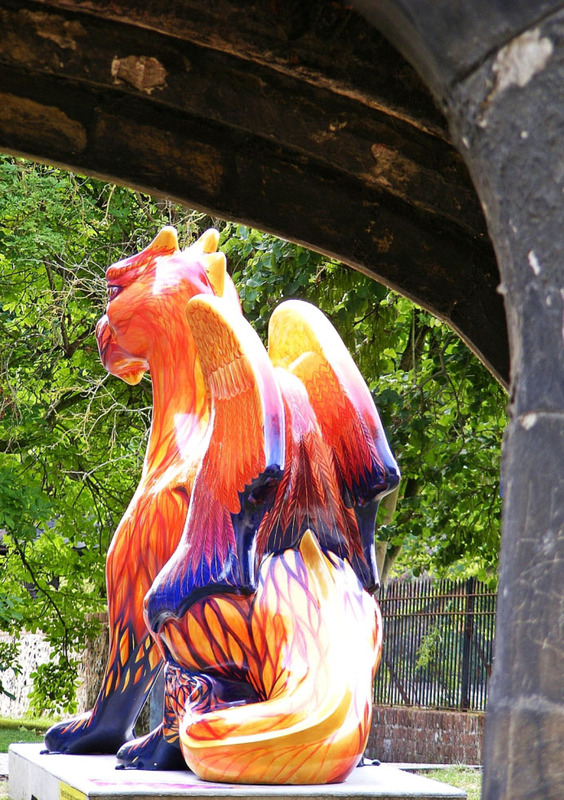 The feet have been painted to look like igniting fire which moves into a torrent of interconnecting lines and shapes designed to create the effect of feathers caught within a fiery inferno. 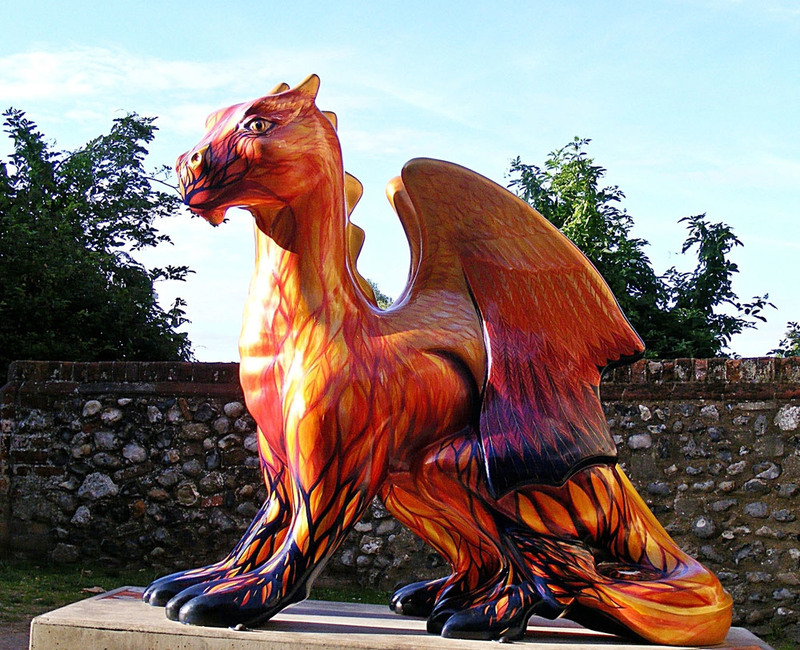 RaptorsFire sold for £5,200, making her the 13th most expensive dragon, joint with Dennis and Drewscilla Dragon. 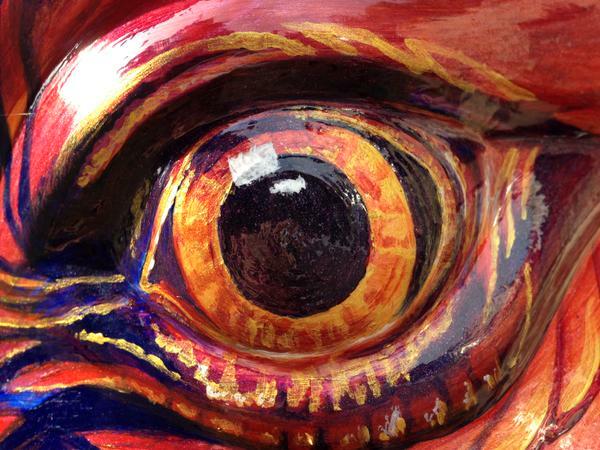 82 dragons went to auction, raising a total of £369,500 for the children’s charity Break. Imagine a world populated by Scouting Dragons. Bajestic would be one of those dragons! 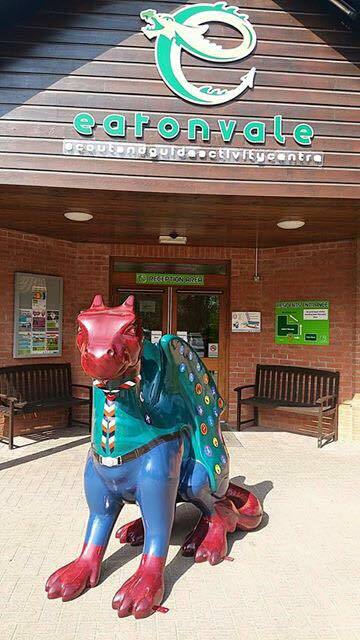 She was commissioned by Norfolk Scouts to look like a real dragon in a Scouts uniform which celebrates Scouting from head to tail. Bajestic’s 44 finely detailed badges include all the district badges for Norfolk and a variety of the activity and challenge badges anyone joining the Scouts can earn. The Norfolk Scouts bought Bajestic at the charity auction for £2,400, after which she moved into her new home at Eaton Vale.